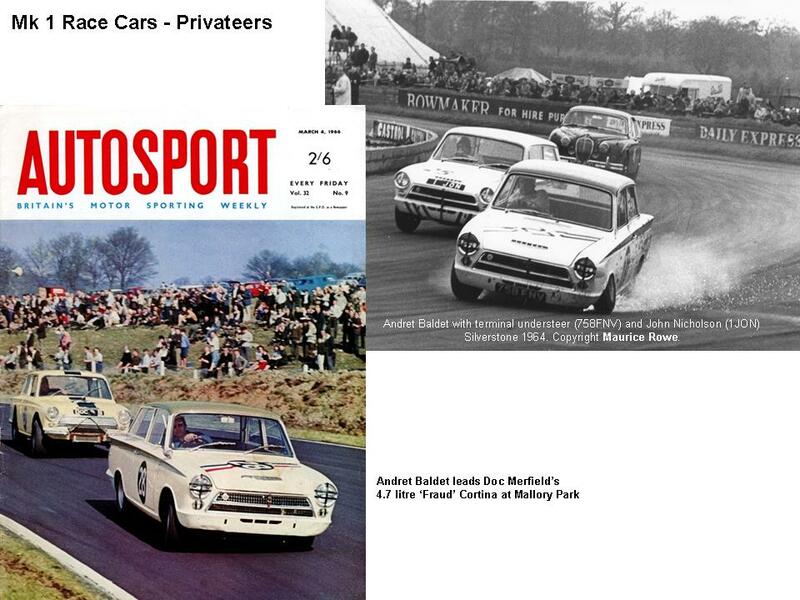 This section examines the privateer Lotus Cortina Mk 1 cars that raced in the BTCC series from 1963 to 1968. It is organised by date of entry into the series, so Willment, for example, entered the series at the end of 1963 alongside the Team Lotus cars…and carried on throughout 1964, 1965 and 1966. So they are first in the list. Willment does stand out as probably not really belonging in this section, as it raced near-works cars and had support from the factory. I would like to put them in a section on their own, but unfortunately I cannot find out anything about them. As usual, if you have any information, please get in touch.